According to the company’s press releases, the first Model S will be delivered by June 22. The very first Model S off the assembly line though has been delivered already. The license plate reads TSLA S1 and was delivered to Tesla Board Member Steve Jurvetson. Jurvetson is a venture capitalist that made sure he would get the very first one during the company’s board meeting back in 2010. 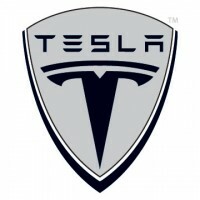 The regular deliveries are said to commence in a couple of weeks for those who have reserved their vehicles since the company unveiled its plans for the Model S. Tesla CEO is said to be having the TSLA 02, after Jurvetson whipped out his checkbook to pay for the full price at U.S. $87,900 before the CEO was able to do so. The first batch of deliveries are said to be of the Model S Signature Series, which provides the best performance of the model. It can run from 0 to 60 in just 4.4 seconds with a top speed of 130 miles per hour and a range capacity would be 320 miles. Jurvetson’s Model S is in red. The Model S SignatureSeries is limited to just 1000 units has two models. The base model is priced at U.S. $87,900 while the performance model costs U.S. $97,900, both coming after the federal tax break of U.S. $7,500. The Model S has an 85 kilowatt hour battery array, allowing for a range of 320 miles at a constant 55 miles per hour speed. It has a QuickCharge system requiring just 45 minutes to fully charge the vehicle with the correct connection. The battery array can also be swapped with accredited battery companies, making for simpler battery recharging activity. The battery options are 40, 60 and 85 kWh, providing for 160, 230 and 300 miles. Other high end features include an all glass panoramic roof, making the vehicle a convertible car without having the wind blowing in your hair. It is a four door sedan with a sloping roofline providing for a four door coupe look, similar to the Jaguar XF. The wheels come in either 19 or 21 inches sitting in four corners of the vehicle. There is also a 17 inch touch screen on the dashboard, with screen controls for the radio, navigation, HVAC, with options for customization. The package for the vehicle also comes with 3G wireless internet and high definition satellite radio. There is also a back up camera, HID headlamps and a 580 watt audio system. The interiors are made from chrome-free vegetable tanned Italian leather and 100 percent recycled PET carpeting. It also has ample room for five adults, with an optional rear-facing seats for two small children located in the cargo area. The full car comes in at 3,825 lbs curb weight with a single speed transmission. The braking system is made from the six piston Brembos with up front and four pot calipers at the back. The full braking distance from 60 mph is 135 feet, with an option for all wheel drive in the future.